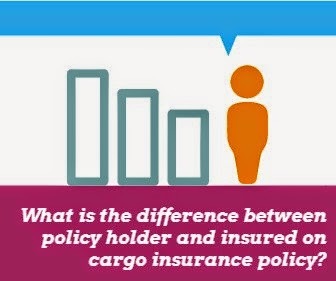 What is the difference between policy holder and insured on cargo insurance policy? In some cargo insurance policies identify both policy holder and insured companies, whereas in some cargo insurance policies issued by defining only insured party. On this article I will try to explain the meanings of "policy holder" and "insured". 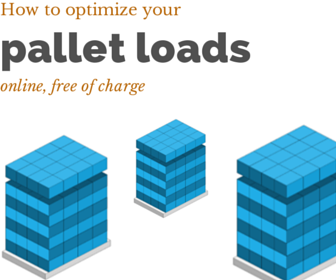 What does policy holder mean on a cargo insurance policy? What does insured mean on a cargo insurance policy. 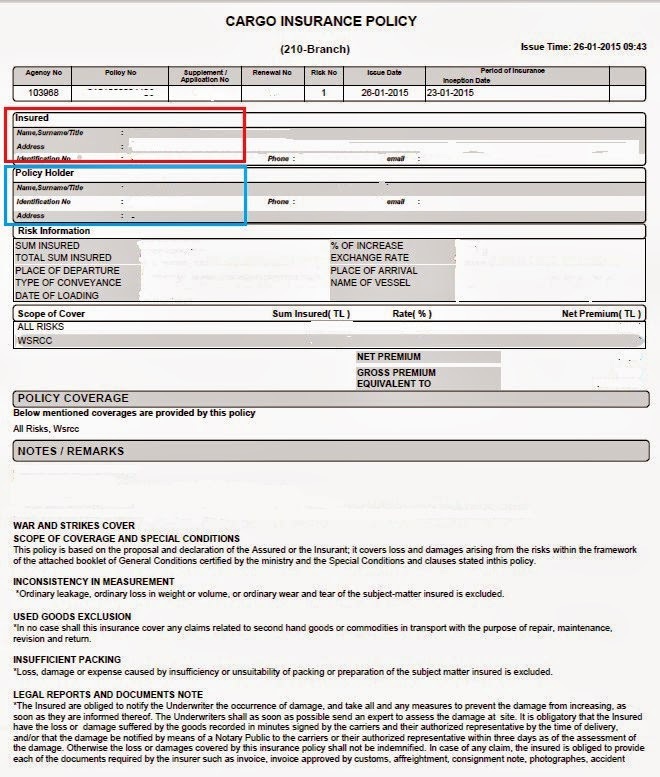 More importantly are there any differences between these two terms as specified under marine cargo insurance contracts? What does policy holder mean on a marine cargo insurance policy? Policy holder is not a defined term under Institute Cargo Clauses. As a result if insurance company elects to use policy holder term on its insurance policy, it would be better describing it. In general policy holder is the policy owner, which is a person or organization in whose name an insurance policy is registered. In a marine cargo insurance policy, which is issued under a sales contract with CIF Incoterms 2010, policy holder should be the exporting company who signs the insurance contract with the insurance company and pays the insurance premium. What does insured mean on a marine cargo insurance policy? Insured also known as assured, is a person protected by insurance coverage against loss or damage stipulated by the provisions of a policy purchased from an insurance company or an underwriter. Assured must have an insurable interest in the subject matter insured at the time of the loss in order to claim refund under cargo insurance policy. In a marine cargo insurance policy, which is issued under a sales contract with CIF Incoterms 2010, insured or assured should be the importing company or the issuing bank in case payment by letter of credit. In order to recover under this insurance the Assured must have an insurable interest in the subject matter insured at the time of the loss. According to the Institute Cargo Clauses (A), assured shall be entitled to recover for insured loss occurring during the period covered by this insurance, notwithstanding that the loss occurred before the contract of insurance was concluded, unless the Assured were aware of the loss and the Insurers were not.